The Antinori family believes in tradition – and innovation, too. They introduced the Cabernet grape to Italy, in a spot where many other grape varieties can’t grow, and began experimenting with blending Cabernet with Italian grapes. The resulting wines have been exceptional, and now they are spreading the word. She’s tall and slender, full of energy, and passionate about her mission. She is Alessia, the youngest daughter in the Antinori vintner family – the winemaker who travels the world alone and with her father, Marchesi. The family is the 26th generation to grow wines in Italy and now in Napa Valley. Together they imbibe lessons from cultures on several continents, the better to enrich their own winemaking wisdom. Alessia and her two sisters work closely with their father to manage the three Antinori wine estates in Italy and in America. Alessia’s shoulder length, softly wavy brown hair moves in time to her graceful arm movements as she nods to emphasize her words. 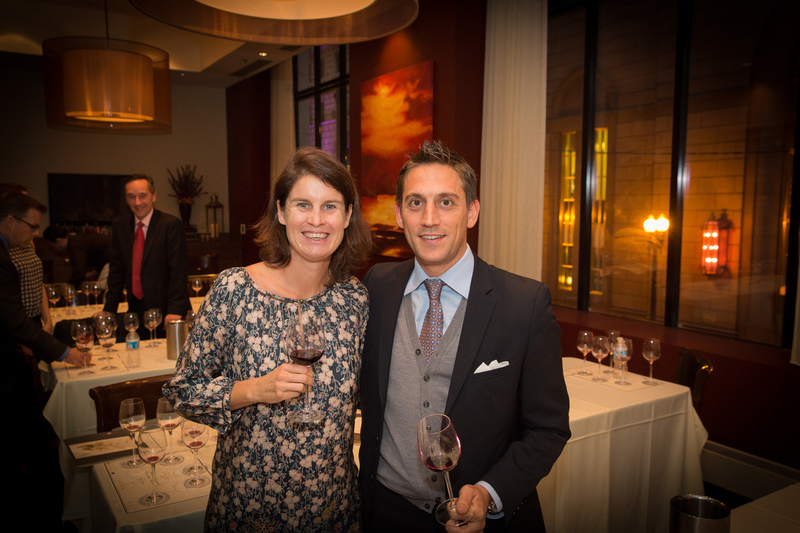 She is introducing five of the Antinori wines to a group of 60 people in Chicago. The Antinori wines being introduced are all made with some percentage of Cabernet Sauvignon grapes, for that is the theme of the evening: The Antinori Family’s Fascination with Cabernet around the World. Each wine has a subtle complexity along with delicacy and elegance in its blending. 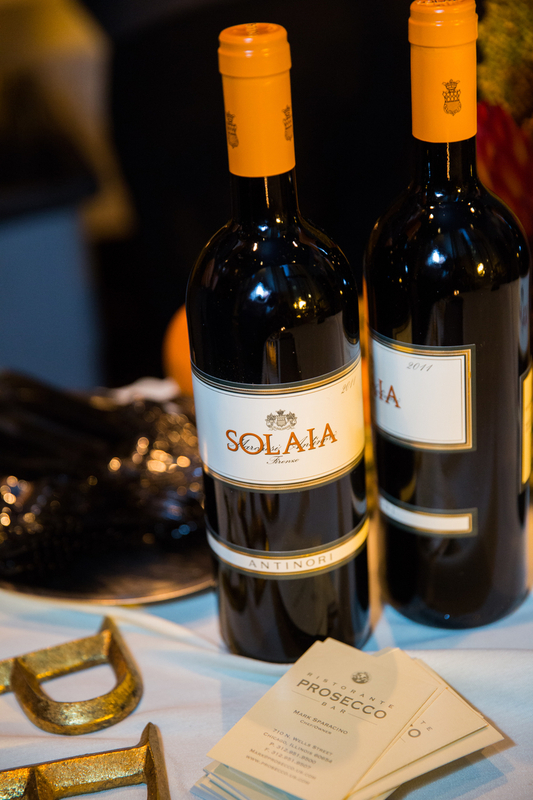 Several of them (see list below) are extraordinarily subtle and refined on the palate, especially the only-made-in-exceptional-years 2011 Solaia Toscana, made from grapes grown in a small southwest-facing vineyard next to their Tignanello vineyard in the Chianti Classico area of Italy. Alessia speaks warmly about the commitment to quality and the passion with which her family has been making wines for 600 years. She says these family values are transmitted seamlessly from generation to generation. Since her great-grandmother was American, her family has always felt a pull towards the United States – so it only made sense when her father visited Napa Valley that he would fall in love. He promptly bought 500 acres, built himself a home (an American style home built by an Italian architect) and went to work creating their estate vineyards. The Cabernet event, held in the Florentine Room of the J.W. 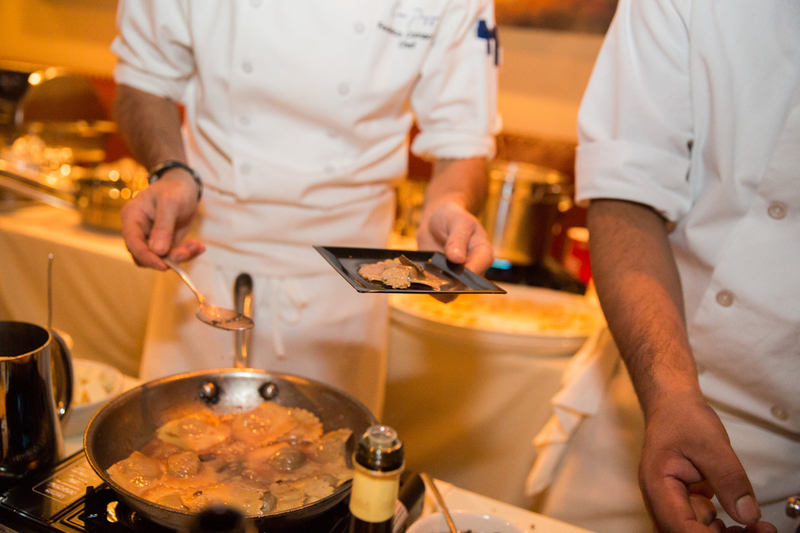 Marriott Chicago, paired a number of Antinori wines with fabulous Italian food creations, among them osso bucco with saffron risotto, braised lamb lasagna, and from Coco Pazzo, handmade venison ravioli with black truffle and wine reduction. 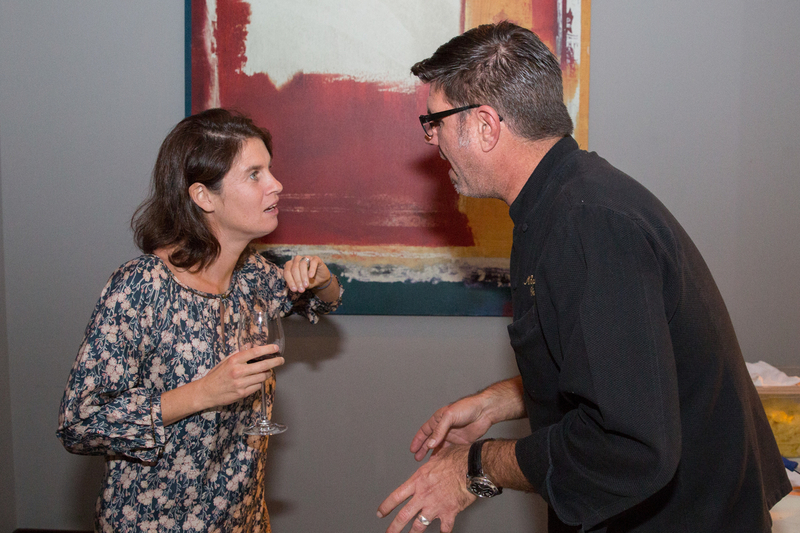 Alessia gives away her secret – the wine she drinks every day at home is their il Bruciato, a full-bodied red made of 65% Cabernet Sauvignon, 20% Merlot and 15% Syrah. It’s wonderfully red and deep and pairs perfectly with many types of foods. And I was pleased to learn that the wine I liked so much that evening – and had to go back for more of – turned out to be her favorite, il Bruciato. Barry Devine, the wine manager at Fleming’s Steakhouse in Lincolnshire, said he already carries several Antinori estate wines. He considers “Guado al Tasso Il Bruciato, the second label of the winery, and the Tormaresca Neprica (a blend of Negroamaro, Primativo, and Cabernet Sauvignon) fine examples of elegant wines at great value.” He said another great wine and great value is their Villa Antinori Toscana (Sangiovese, Cabernet, Merlot and Syrah blend). In addition to being “great values, these wines are good representatives of their respective areas,” Barry said, and generally score in the 90 point range in respected wine publications. I asked Alessia a little about herself. She said realized when she was a teenager that she had a choice of where to go in life. Her father never forced her to go into the business, she said. But when she asked her father if she should go for art history or go to Milan to learn winemaking, he unhesitatingly said, “Go to Milan!” Though she knows she could have done something else, she loves the profession she has committed her life to. 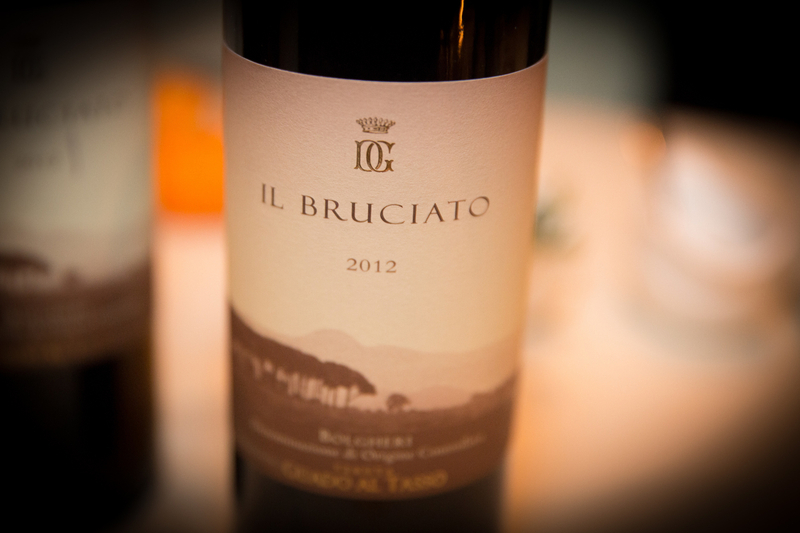 Alessia’s favorite everyday Antinori wine, il Bruciato, is available at Binny’s and sold in Eataly by the glass.